Head back to school in style with a Crocodile Creek Backpack. Girls and boys will love the colorful designs and parents will appreciate the high-quality. This durable backpack has dual zippers, adjustable padded straps, nylon locker loop/handle and a reinforced side pocket for drinking bottle storage. Generous carrying capacity for books, notebooks and other essentials. 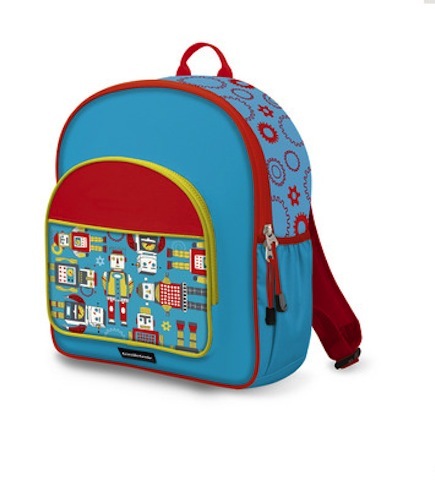 It is a great fit for children 3-8 years old and is perfect for school, camp, or travel. Backpacks are 11.5"W X 14" H. Complete the look by matching to Crocodile Creek's Lunchbox and other accessories.